Q.What is a mobile website? Mobile websites are specifically built for mobile resolution. They are different from desktop websites. They are quick to load, thumb-friendly, allow easy reading and navigation for mobile users. Users often get frustrated when they have to zoom in and zoom out to read the text while browsing through their mobile phones. Hence, mobile websites offer hassle-free viewing experience. Q.What are the different types of mobile websites? 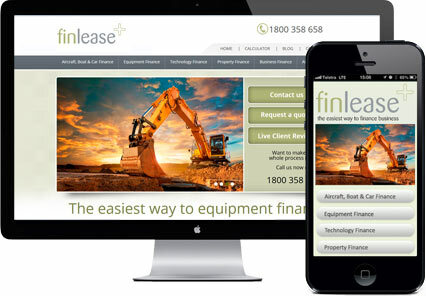 Responsive Mobile Website – There’s only one version of the website. The website automatically responds to the viewing device. The content, images and other elements of the website will stack themselves neatly to accommodate the mobile screen size. Dedicated Mobile Website – Dedicated mobile website is a different website all together built specifically to be viewed on mobile phones. It looks like a mobile app. However, mobile sites are simpler versions of the main site and customers can choose which features they’d like to include in the mobile site. Q.Why do I need a dedicated mobile website when my website opens on mobile phones too? Users often get frustrated when they open up the main site on their mobile phones and the outcome is that they leave the website without buying from you. Even though the desktop website opens up in a mobile phone but it doesn’t give a good viewing experience to mobile users. To attract more traffic from mobile users, it’s absolutely necessary to have a mobile website. Q.Will it have all the features as the desktop website? Mobile websites are quick to load and contain only relevant features for your products and services absolutely necessary for the mobile customers. The objective is not to lose out on the mobile customers’ traffic because most offline buying decisions are also influenced by the information users find online. Q.How is the mobile website different from a mobile app? While both the mobile website and mobile app are accessed through mobile phones, the difference between the two is that mobile website is just like a regular website designed for mobile phones. A mobile app, on the other hand, though can be accessed online via a browser, is also downloaded and installed on the phone to use it offline.